IT IS best to keep President Duterte talking, even when he is threatening to launch a revolutionary war, so we can monitor better the inner rumblings and not be caught unprepared when he finally boils over. Duterte’s giving the public a peek into his subconscious will also help the solicitous souls trying to find a cure for whatever has been bothering him since childhood. The eruption could have been a calculated feint, but it is so characteristic of one betraying strong-arm, if not dictatorial, tendencies — considering that resorting to “revolutionary war” is not even a legal option under the Constitution. Of those who were supposedly getting on his nerves, he mentioned opposition Sen. Franklin Drilon, who had warned the administration to exercise “extreme caution” in reviewing government deals, saying that binding contracts cannot be simply declared onerous and canceled. Why the big fuss over what sounded like a reasonable advice from a member of the Senate where investigations are routine? Besides, the big man from Iloilo, we understand, has been cut down to manageable size by the thick dossiers on him. The President may have been disturbed by reports that his pro-Chinese bias has been hurting his candidates in the May midterm polls. Field reports have it, however, that the China Team could bag at least eight of the 12 Senate seats if elections were held tomorrow. Is that not good enough? Maybe Duterte should stop talking about China issues in the meantime. He can leave that to Foreign Secretary Teddy Locsin Jr., who took an unexpected swipe at Beijing days ago by saying on Twitter that China’s allowing its boats to swarm around our Pagasa island was illegal and a violation of Philippine sovereignty. We don’t know if the foreign secretary’s tweets were cleared with the President, who happens to be leaving for Beijing in a few days for his fourth visit since he became president in 2016. To understand better the thickening plot, we groundlings watching the unfolding drama want more of Duterte’s stream of consciousness revelations, more of his unburdening that allows a closer scan of his subconscious. THE PHILIPPINES ranks 13th among the countries with the biggest number of Internet users, recording a 3,250-percent increase of its users compared to their number in 2000 when its population was 67 million, against its estimated 108 million this year. The Internet World Stats reports in its website that in Asia, the eight countries that are among the world’s top 20 are China (No. 1), India (2), Indonesia (5), Japan (6), Bangladesh (9), Philippines (13), Vietnam (14), and Thailand (18). The United States ranks No.3 worldwide. In Europe, the six leading Internet use are Russia (8), Germany (11), Turkey (12), the United Kingdom (15), France (17) and Italy (19). In Africa, the topnotchers are Nigeria (7) and Egypt (20). The Middle East has Iran (16), while Latin America has Brazil (4) and Mexico (10). The data on the countries with highest number of Internet users were gathered by Internet World Stats from Facebook, International Telecommunications Union, official country telecom reports, and other research sources. The 3,250-percent growth from 2000 to 2019 of the number of Philippine users is higher than the 1,140-percent jump of the biggest 20 users. The Top 20 are listed below with each country’s estimated population as of March 2019, its number of users, and the percentage of growth of its internet users between 2000 and 2019. 1 China — 1,420,062,022 (population)/ 829,000,000 (users) — 3,584% (growth). 2 India — 1,368,737,513/ 560,000,000 — 11,100%. 3 United States — 329,093,110/ 292,892,868 — 207%. 4 Brazil — 212,392,717/ 149,057,635 — 2,881%. 5 Indonesia — 269,536,482/ 143,260,000 — 7,063%. 6 Japan — 126,854,745/ 118,626,672 — 152%. 7 Nigeria — 200,962,417/ 111,632,516 — 55,716%. 8 Russia — 143,964,709/ 109,552,842 — 3,434%. 9 Bangladesh — 168,065,920/ 92,061,000 — 91,961%. 10 Mexico — 132,328,035/ 85,000,000 — 3,033%. 11 Germany — 82,438,639/ 79,127,551 — 229%. 12 Turkey — 82,961,805/ 69,107,183 — 3,355%. 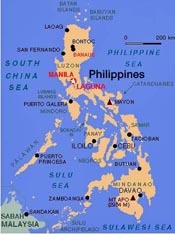 13 Philippines — 108,106,310/ 67,000,000 — 3,250%. 14 Vietnam — 97,429,061/ 64,000,000 — 31,900%. 15 United Kingdom — 66,959,016/ 63,061,419 — 309%. 16 Iran — 82,503,583/ 62,702,731 — 24,981%. 17 France — 65,480,710/ 60,421,689 — 610%. 18 Thailand — 69,306,160/ 57,000,000 — 2,378%. 19 Italy — 59,216,525/ 54,798,299 — 315%. 20 Egypt — 101,168,745/ 49,231,493 — 10,613%.